We are introducing a new Family Loyalty Card from 1st January 2016. This is an opportunity to collect stamps towards discount off your treatment with your chiropractor.  By completing the Care Response online questionnaires offered to all new patients with email addresses, when you come in with new problems or if we haven’t seen you for a while. When your card is full you can enjoy the discount offered off your next chiropractic treatment. Your full card can only be redeemed against a chiropractic treatment and this can only be with the main chiropractor that you are registered with. 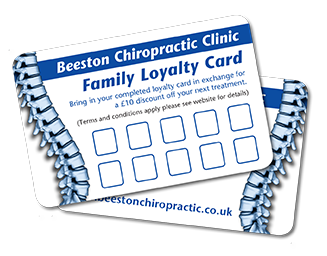 There is no time date on using your loyalty card but it must be complete to qualify for the treatment discount.